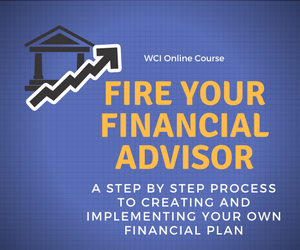 This post was written by fee-only financial advisor Michelle Fait. You may think coming to terms in your settlement puts the work of your divorce behind you. The good news is, for the most part that’s true. But before you pay that final invoice to your attorney, make sure you cover the following issues. Your divorce attorney is trained in family law and the drafting of documents, but may not be as savvy in making sure those paper promises in your settlement are implemented, and that can put a bump in your path to a new life. 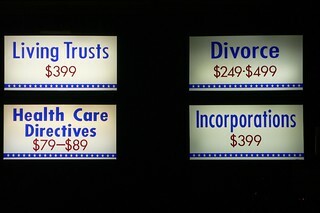 In short your attorney may not be well-versed in divorce financial issues. If you are the secondary person (your name is listed second) on a joint credit card, the credit card company may not recognize your authority to close the account, even though you would be liable for any charges to it. Make sure your attorney arranges for your ex-spouse to contact the credit card issuer to close your joint account, and ask for written verification of its closure. If you are expecting to be eligible for COBRA after your divorce, your ex-spouse’s benefits department will have to acknowledge that you are terminated from their plan. Unfortunately, you may not be able to do this directly. Have your attorney ensure that your ex-spouse terminates you from the employer’s health care plan if you intend to move to COBRA, and coordinate this termination with your new coverage. Otherwise, you may have to appeal to the state authority and could risk losing your eligibility. All those times work interfered with vacations or holidays? All those business trips? Your spouse may have a valuable stash of frequent flyer miles and vacation pay that should factor into your financial settlement. Ask for an accounting of this information from the employer for accumulated vacation pay, and of your spouse for information on any frequent flyer accounts. Here are Your Assets – Would You Like a Tax Bill With That? Especially with a rising stock market, you may be awarded assets that have an unrealized capital gain. When sold, these assets could trigger a nasty tax bill for which you alone will be responsible. Your attorney might not assess your assets keeping in mind any tax liability that goes with them. Consult with a CPA or other tax professional to calculate the after-tax value of any non-retirement assets you are splitting with your ex-spouse. Filing a joint return will almost always be more beneficial from a tax standpoint than filing separately. But first make sure you are comfortable that all information has been disclosed. You may not have knowledge now of any information that leads to an audit and/or tax bill and penalties later on, but you will be responsible for it nonetheless by signing a joint return. In addition, be sure to ask for half of any refund or otherwise ask for consideration in exchange for the benefit of filing jointly. If you suspect your soon-to-be former spouse has not been forthright in disclosing information, have your attorney demand a credit report to check on any and all accounts that your spouse may have. Follow-up with a request for statements for any accounts you don’t recognize. Divorce is a difficult process at best. But don’t be surprised by what your divorce attorney may not tell you – or know. Their main responsibility is helping you through the legal maze of divorce. Tax advice, health care insurance eligibility, and even estate work may not be their purview, but issues in these areas will impact your settlement and you must be vigilant in seeking the right expertise. Michelle A. Fait, MBA, CFP®, EA founded Satori Financial LLC in 2001. Michelle is a CERTIFIED FINANCIAL PLANNERTM professional (CFP®) with expertise in investments and tax. She holds an MBA in Finance from Yale University, a bachelor’s degree in Economics from U.C. Berkeley, and is an IRS Enrolled Agent. Her experience includes work as an investment banker in New York and Seattle for a major broker-dealer, and work for two start-up companies. Immediately prior to founding Satori, she served as Treasury Manager for Starbucks Coffee Company, where she was responsible for cash and investment management and financial risk management. Satori Financial LLC is a boutique fee-only financial advisory firm that works with clients who want a partner to help them organize, simplify, and manage their financial lives in today’s chaotic world. Satori focuses its work on the planning needs of clients who are single, whether by choice or by chance, particularly those beginning again after divorce, and working professionals who want to outsource help with their financial lives. Michelle is happily divorced and living in San Francisco. You can reach Michelle at (206) 320-9263 and michelle@satorifin.com. You can follow Satori on FaceBook, its blog Eyes Wide Open, and Michelle’s crazy single life (along with the occasional tax tidbit) on Twitter: @michellefait. Hopefully that was agreed upon at the outset. It’s often hard to predict how much work will go into a divorce – part of it is out of your control, as it depends on the other party as well. You can ask your attorney for an expected range. Working through how a settlement will be implemented before cutting your attorney loose can save you dollars. Having to go back to address issues again always seems more costly. Thanks, Michael. It’s also a lot to think about in a tough emotional space. Asking your attorney to walk you through how a settlement will be finalized can help alleviate on-going stress and close this chapter cleanly. Divorces are a mental, physical and a monetary strain. Consider yourself lucky if you never had to go through one! All true, though the same can be said for a bad marriage. I would have never thought about those frequent flier miles. I guess it does help to pay attention to the very tiny details. Thanks for sharing.